Emerson’s Cigars at Maker’s Craft Brewery, 735 E 23rd St. If you know anything about cigars you know that Padron cigars are some of the most highly rated and most sought after cigars available. Jorge Padron will be our guest of honor as we take over Maker's Craft Brewery for the evening for this event. 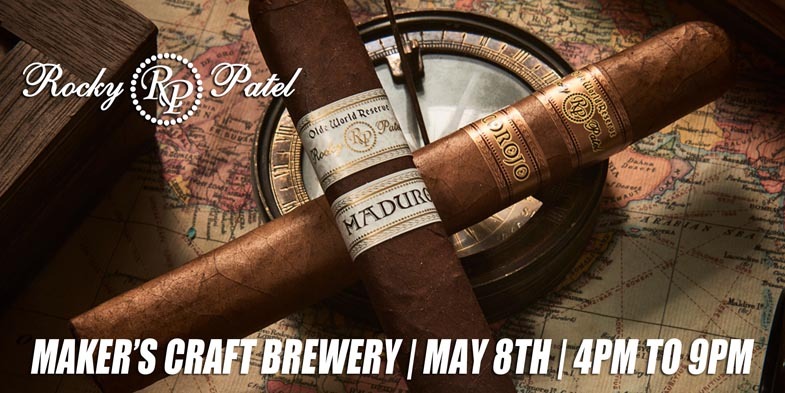 Experience the world of Rocky Patel Premium Cigars at Maker's Craft Brewery. Franklin Kleckner will be on hand with some great deals and specials on Rocky Patel cigars. Your ticket includes 2 Rocky Patel cigars and 2 Maker's Craft Brewery beers during the event. Space will be limited for this event so get your tickets before it sells out! Wind down along the Elizabeth River at Blue Moon Taphouse and enjoy cigars, bourbon and whiskey tastings, light food, music, games, and more! Experienced and novice cigar enthusiasts welcome. 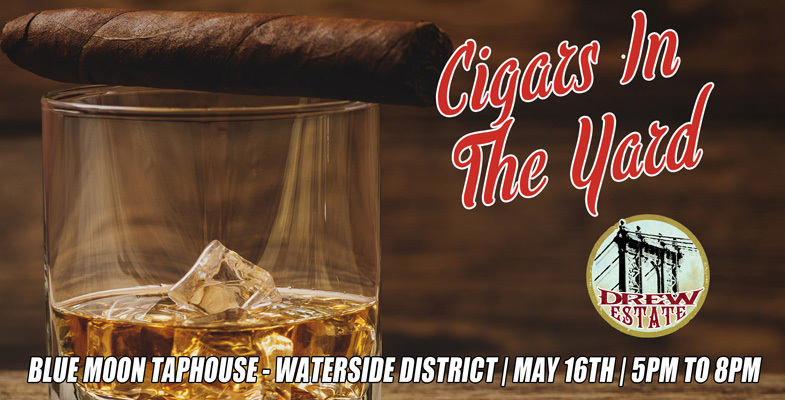 Your ticket includes 2 Drew Estate cigars, 3 bourbon/whiskey tastings, light appetizers, and admission to a private area in the Yard with games and music.